Today is Day 8 of my Two Week Walk Challenge and we managed to walk 5K! Unfortunately, I was so busy on Saturday and was gone all day, so I missed my walk that day. Regardless, I am proud of myself. On Day 1, I felt breathless. That is not the case anymore. I am finding it easier and have increased my walk time to an hour. Today's walk was so much better than the other days because I actually wore my running shoes! All last week, I wore my LLBean snow sneakers, that don't zip up properly (I have a high dorsum - I had to look up that word!). Now, my running shoes used to be great in their day, but now they are 10 years old and in need of replacing. This is the shoe I am thinking of getting. 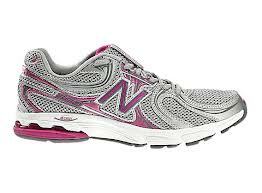 It is the New Balance 860 . It is a Wellness/Fitness style of walking shoe, according the the website, so it seems appropriate. My last shoes were also New Balance, but I'm not sure what type they were! ANYWAY, my walk was not as painful today. Usually, I am in agony in the muscle/tendon above my ankle. It is still a little tender, but I figure, I have been wearing the wrong footwear for a week, so I obviously pulled something. Not only, did I not have to stop to put snow on my leg to alleviate the pain, but I was able to walk faster. The other positive thing today was that I weighed myself and I had lost one pound! Woot! I'm on my way to losing 2 pounds by Friday, and 6 by Easter. Baby steps. This will be my motto for now. Baby steps.